Being a mother of three, I have learned that buying a stroller is like buying a new car. You need to find the make and model that fits your life perfectly. We have been through a few strollers over the past years. Some have worked well for our family and others were totally wrong for us. 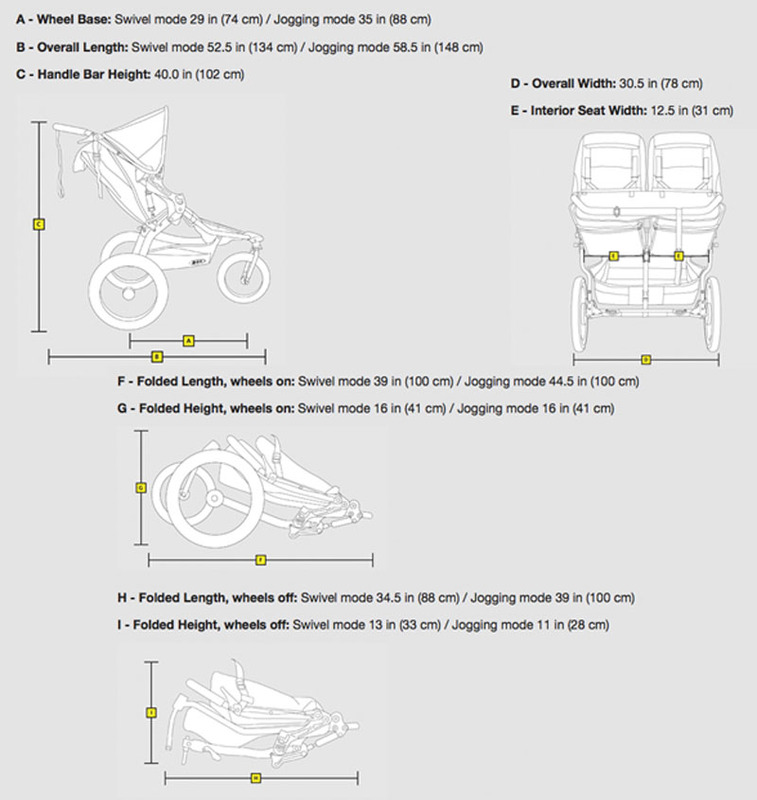 When looking for a stroller there are a few questions you should ask yourself. 1. Where do you live? Do you live in the city, on the beach, in a rural area? There are some strollers that work better on different terrain. The wheels and the frame are two of the most important aspects to consider when shopping for a stroller. Bigger wheels made of rubber (looks like a bicycle wheel) work better on rougher terrain such as the beach, gravel roads, or snow. The Bob Revolution SE Single Stroller works great on tough surfaces. If you live in a city, you might consider a lighter stroller, such as Baby Jogger City Mini, that is easier to break down but has strong wheels. 2. How big is the trunk of your car? Where will you be storing it? Some strollers are bigger than others, if you have a smaller car there is a possibility that the stroller might not fit. Make sure you can fold and store the stroller in the car before purchasing. Think about where you want to store the stroller when you are not using it. You might have a garage where the stroller can stay open or have a small apartment where you might need to fold it and store in a closet. 3. What is your life style? Will you use the stroller for a quick trip to the grocery store or is it your main way of transporting your baby around town? This goes back to the idea of where you live. If you are located in a city with a buzzing lifestyle, your baby will probably find himself/herself in the stroller more often than a child who lives in a rural area. When considering your lifestyle and the way a stroller will fit into it, think about the bulk of the stroller, the wheels and how easily and quickly you can fold it down. If you are running through a city or if you live on a fourth floor walk up, you might want a lighter stroller that’s easier to break down faster. The Maxi-Cosi Mila and Baby Jogger City Mini are both incredibly light and easy to fold. If the stroller might be used more often during strolls in your town and neighborhood, you could probably handle a bigger model. A Quinny Buzz is great for a walk around town, but still easy to manage. 4. Do you want to jog? You cannot run with all baby strollers. There are certain stroller whose wheels and frame are not designed to take the abuse that jogging takes out on the stroller. Make sure to do your research on the durability of the stroller frame before you take it out for a jog. The BOB Revolution SE and Baby Jogger FIT are both examples of true jogging stollers. 5. We might be jumping ahead here, but is there a possibility you might have more than one child in the future? Though there are so many factors that go into having a baby, you might want to think about the possibility of having more than one child when purchasing a stroller. There are several strollers out there that offer options to add on to the frame as your family grows. You might consider the possibility of a second before purchasing your stroller so you have the option to carry several children at once, if you find yourself in that situation. The UPPAbaby Vista offers the option of adding a PiggyBACK to the strolller. The PiggyBACK is a board that attaches to the back of the stroller, so a toddler can stand and hold onto the handles of the stroller, while your younger child sits in the front. Can you break it down easily? Some strollers can be a little trickier than others. So you might need some practice with closing it. Always make sure you do your research about the age that you can put your child in the stroller. Some might require your baby to be several months old before they can sit in the seat of the stroller, because of the angle of the seat. Regardless, most strollers offer a bassinet that clicks on the frame or adapters for your car seat carrier. Bassinet options are great when traveling with baby. You can use the bassinet as a travel bed! If you have friends or family who have children, ask them what stroller they prefer. The best way to discover what might work for you is hearing opinions from other people who have tried it! What did you do before you purchased your stroller? Is there anything that you didn’t consider that became an issue later with the stroller? Along with the Marathon 70-G3, Britax introduced the Boulevard 70-G3. The new G3 series features the HUGS Chest Pad with Safecell Technology and the EZ-Buckle System. HUGS (Harness Ultra Guard System) Chest Pads provide resistance to forward movement in the event of a crash. The chest pads provides resistant by adding friction to the harness against the child’s chest as they move forward. This design is important because the Boulevard 70-G3 can hold an older child, up to 70 pounds. As a child gets older his/her center of gravity moves away from the anchor points of the seat, making them more vulnerable in the result of a crash. The HUGS system holds that center of gravity. The EZ Buckle System keeps the harness buckle up, so your child does not sit on it when boarding. I find that many of our customers are often torn between purchasing the Boulevard 70-G3 or the Marathon 70-G3. From customer opinion, I have been told that they believe there is more shoulder room for their child in the Boulevard. The headwings extend farther on the Boulevard. There is also less room for the child when the seat is in the rear facing position. Some customers say that they think the straps on the Marathon sit up higher. We have heard from many moms that the added protection feature around their child’s head, on the Marathon 70-G3, acts as a great headrest when their child is taking a nap. An added convenience! Why do you love your Britax Boulevard 70-G3? Why did you choose the Boulevard over the Marathon? In July, Britax introduced the Marathon 70-G3. Though the product has been on the market for a while, the difference between the new G3 series verses the previous Marathon 70 can be a little confusing. The only difference for this model is the use of the EZ-Buckle System. The EZ Buckle System keeps the harness buckle up, so your child does not sit on it when boarding. Though this difference may seem slight, it is actually a great improvement on convince. I am always struggling to get the buckle from under my kids, in the meantime, they are often protesting being in the seat. With this EZ Buckle System the transition into the car goes smoothly and there is less time for protest. The Marathon 70-G3 comes in five colors, which makes it a great fit for any child. 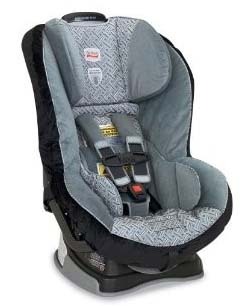 The design of the buckle may have changed, but Britax has kept all the safety elements to the car seat. HUGS (Harness Ultra Guard System) Chest Pads provide resistance to forward movement in the event of a crash. The chest pads provides resistant by adding friction to the harness against the child’s chest as they move forward. This design is important because the Marathon 70-G3 can hold an older child, up to 70 pounds. As a child gets older his/her center of gravity moves away from the anchor points of the seat, making them more vulnerable in the result of a crash. The HUGS system holds that center of gravity. Why do you love your Britax Marathon 70-G3? Does the EZ Buckle System make a difference? I can’t say enough about the BOB Revolution SE Duallie. Even though it is a double stroller, I have never felt like I was dealing with one. This stroller is made for everyday use and jogging. The frame and wheels are sturdy, and the shocks are adjustable. The Duallie can turn corners without a problem and never has trouble getting through doorways. A few summers ago, we took our Duallie to the beach, filled it with two kids, beach towels, snacks, and toys. With a little extra push, we were able to get the stroller through the sand without a problem. The BOB SE Revolution Duallie comes in navy, black, and (my favorite color) orange. Capacity: 100lb, 45.4kg (occupants plus luggage weight). Maximum occupant height is 44in or (112cm). Do not exceed the maximum weight or height, as stroller will become unstable. Tires: Pneumatic tires. Rear 16″ x 1.75″, Front 12.5″ x 1.75″. Swivel Knob: Durable steel knob and lock-out pin to convert from “walk” mode to “jog” mode. Tracking Knob: Adjustable tracking knob to fine tune stroller tracking when front wheel is in “jog” mode.